If there was a legacy that photography could claim solely as its own, it would be the self-portrait. For well over a century, the idea of self-portraiture has intrigued all those who have engaged with it. In 1839, Robert Cornelius, a Philadelphia-based metal worker, made a daguerreotype of what is possibly the first photographic self-portrait—an image of his young self with dishevelled hair looking back at the camera. Over half a century later, in India, scholar, philosopher and photography enthusiast Umrao Singh Sher-Gil was photographing himself bare-chested, holding out strands of his hair, after a bath. 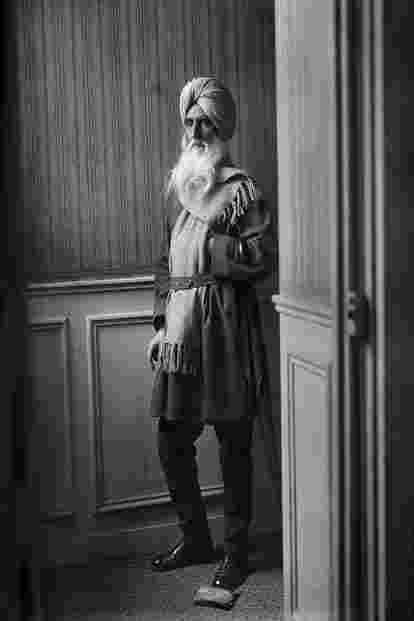 Sher-Gil was born in 1870 in Punjab and throughout his life, remained close to philosophy and religious thought, modelling his social values after Leo Tolstoy. 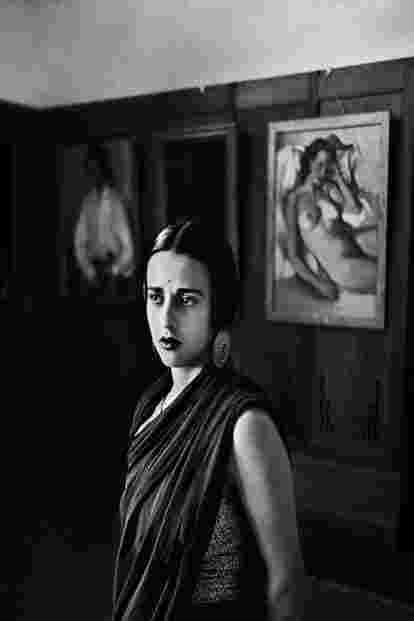 His elder daughter, Amrita Sher-Gil, would go on to achieve iconic status as a pioneering artist. A self-confessed scribe, Umrao Singh Sher-Gil’s preoccupation with photography led him to make self-portraits over a period of 60 years. There is no definite account of the self-portraits he made before 1892 because the material doesn’t exist anymore. His photographic practice was a private affair with no written records to accompany his body of work. One would then wonder what the driving force behind this necessity to incessantly document himself was. Up until now, Sher-Gil’s photographic work was considered to be an extension of the Western style of performative self-portraiture. Now, a new exhibition, Wakefulness And The Dream State: A Self-Study By Umrao Singh Sher-Gil, at Delhi’s PhotoInk attempts to re-examine his photographs in the context of his previously unseen writings and notes. Gallerist and curator Devika Daulet-Singh says, “While preparing for the exhibition of photographs from The Sher-Gil Archives, I asked Vivan Sundaram (Sher-Gil’s grandson) if any of his grandfather’s cameras or personal objects had survived. He allowed me to rummage through Sher-Gil’s aluminium camera case, which was packed with diaries, notes, handmade books, etc. In conversations that followed with Vivan, we concluded that a deeper examination of his writings, translations was necessary as we were looking at material by a highly erudite Sanskrit scholar, who also wrote in Persian and Urdu." It is remarkable how Sher-Gil wanted to be understood, which can be seen now in his writings and translations. He made several hand-bound copies of the shortest of the Upanishads, Mandukya Upanishad. In one of those copies, he wrote, “When I have passed on, I hope it will come into the hands of others who will study, and ponder over, its contents." He prepared manuscripts for self-study and this informed his photographic practice immensely. In the history of Indian photography, Sher-Gil’s work has largely been understood, or rather misunderstood, as a postcolonial artistic expression of his life and self. Since there was no record to prove otherwise, Sher-Gil was thought of as his own portrait sitter, simply performing for the lens. However, a careful reading of his translation of the Mandukya Upanishad reveals his deep engagement with the different states of consciousness. His inscriptions and diagrams of these states in one of his several hand-bound copies of the Mandukya Upanishad influenced his portrait-making as well, which lent them their dynamism. The portraits invite viewers to gauge if Sher-Gil, as a subject, was transitioning through or staying still in any of these states. The core of his philosophical leanings was only mildly expressed in his photographs, unlike the performance that self-portraiture is often understood to be. Most interesting in Sher-Gil’s work is the interplay between self-knowledge, awareness and revelation—all of which draw from his subconscious and manifest as real, physical photographs. So whether appearing bare-bodied, scholarly, wise or brooding, Sher-Gil’s articulation of the sense of being and becoming is inseparable from his relationship with the camera. The exhibition at PhotoInk also showcases unseen photographs and writings, and especially striking is the only image of Amrita in front of one of her paintings at the Roerich Centre of Art and Culture, Allahabad, 1937. After her death in 1941, Sher-Gil was grief stricken. 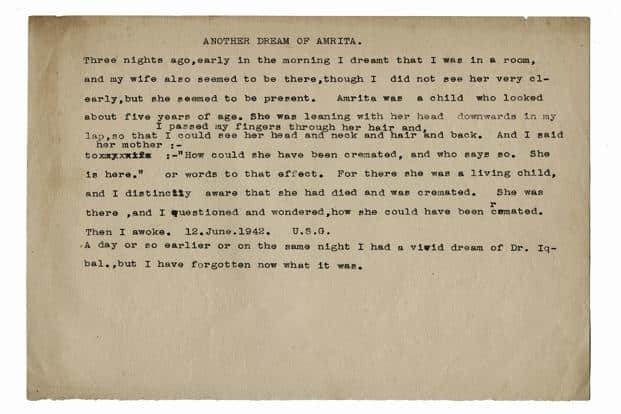 In an immensely moving note from 1942, he chronicled a dream he had of her that detailed the manner in which her hands were always cold. His grief, in his dream state, is documented meticulously, thus lending insight into his own self-exploration. His aluminium camera case was found full of diaries, unseen notes, writings and scholia, which seemed to suggest that Sher-Gil wanted to be discovered through these documents. Over a period of 60 years, he undertook a most elaborate exercise of making self-portraits that reveal the sense of self as fragile as a photograph itself. 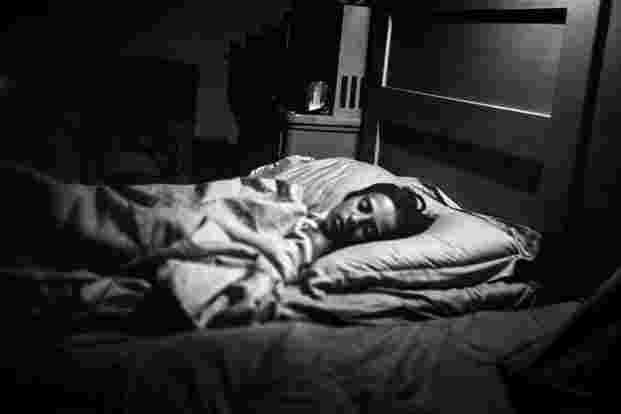 Wakefulness And The Dream State: A Self-Study By Umrao Singh Sher-Gil is on till 12 January at PhotoInk, Delhi.